Provide comfort for the family of Helen Snyder with a meaningful gesture of sympathy. Helen Kerekes Snyder, 82, passed away on Friday, March 15, 2019 at her home in Mountainside surrounded by her loving family. Helen resided in Westfield for more than 30 years before moving to Mountainside in 2002. The oldest of three children born to Lazlo and Helen Kontra Kerekes, Mrs. Snyder grew up in Rahway, where she was a member of the high school drama club and Latin club and wrote for the school newspaper. In 1958, she received her teaching degree from New Jersey State Teachers College. While in college, Mrs. Snyder, fluent in Hungarian, volunteered at Camp Kilmer aiding the Red Cross in relocating Hungarian refugees. In 1958, she was crowned Centennial Queen of Rahway during the town’s 100th anniversary celebration. Mrs. Snyder was a third-grade teacher at Lincoln School in Westfield and had been a successful floral designer for over 35 years. Helen shared her passion for flowers with the desire that others might discover their own personal passion for flowers and the magic they bring into our lives. Her floral designs were cherished at the magnificent Sacred Heart Cathedral Basilica in Newark. It was there that her displays were the backdrop for such note-worthy events such as Gov. Chris Christie’s Inauguration Mass, Bishops Installations, as well as numerous Easter and Christmas celebrations. Her displays could also be found at St. Patrick’s Cathedral, NYC along with other parishes throughout the state including St. Gabriel’s in Saddle River, St. Bartholomew’s in Scotch Plains and Holy Trinity in Westfield as well as many weddings for friends and family. Helen remained active in the Holy Trinity Roman Catholic Church, where she was a lector and a Eucharistic minister. She also had led several pilgrimages to Medjugorje, Fatima, Lourdes and the Holy Land. In 1992, Mrs. Snyder was among 1,000 pilgrims who carried the Fatima Statue of the Blessed Virgin Mary into several former soviet bloc countries, culminating with the crowning of the statue in Red Square, celebrating the demise of communism and the return of Christianity to the Eastern Bloc. Mrs. Snyder received a humanitarian award from the Archdiocese of Newark and was knighted Lady Helen of the Equestrian Order of the Holy Sepulchre of Jerusalem, a tribute to her commitment to lead an exemplary Christian life. Helen is survived by her beloved husband of almost 60 years, Dr. Raymond Snyder; her children; sons Raymond Louis, Thomas John (Kelly) and John James (Caryn), and daughters Amy Helen and Jennifer Lynn. She is also survived by her cherished grandchildren; Theresa Rose, Thomas Joseph, Melanie Elizabeth, Brielle Rose, Kendall Rae, Luke John, Ronald Henry, Emily Rae, Catherine Elizabeth, James Robert, and John Michael. Visitation will be at Dooley Colonial Home, 556 Westfield Ave., Westfield on Wednesday, March 20th from 4-8PM. A Funeral Mass will be celebrated on Thursday, March 21st at 10AM at Holy Trinity Roman Catholic Church in Westfield. Entombment will follow at St. Gertrude Cemetery in Colonia. In lieu of flowers, donations may be made in Helen’s memory to the Alzheimer’s Foundation of America. 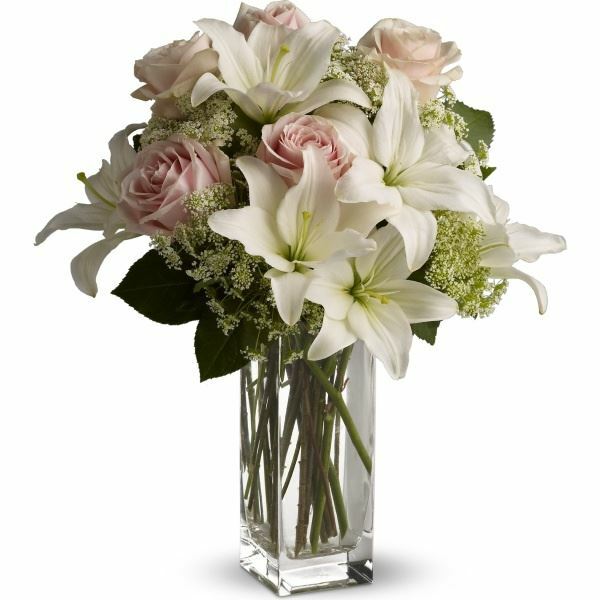 To send flowers in memory of Helen K. Snyder, please visit our Heartfelt Sympathies Store. 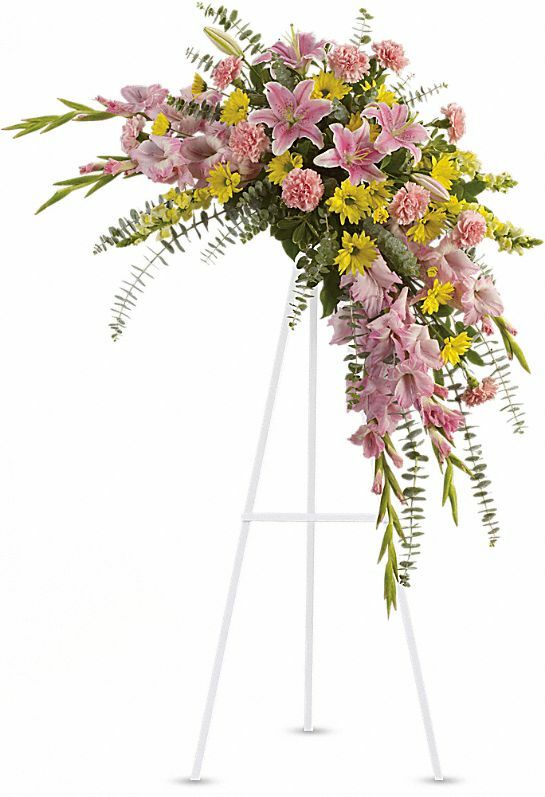 Jean Patrick Antoine, Ivy Realty Services, LLC, and others have sent flowers to the family of Helen K. Snyder. Jean Patrick Antoine purchased the Your Light Shines for the family of Helen Snyder. We are so sorry for your loss. We have fond memories of our families growing up together and your mom was so kind. She will be missed. Heartfelt Sympathies Store purchased flowers for the family of Helen Snyder. 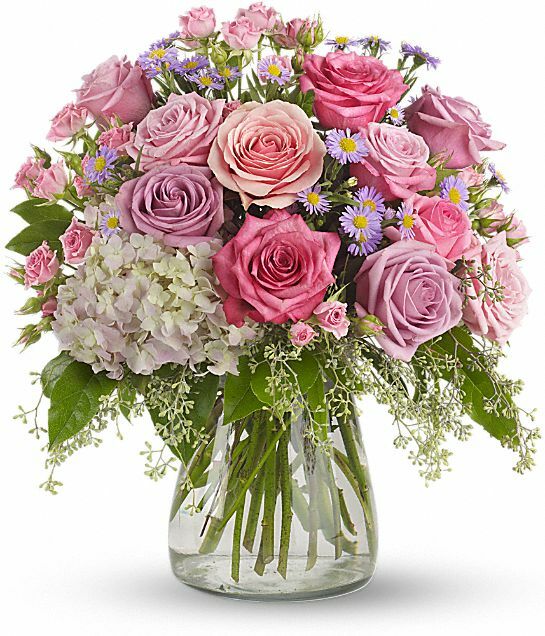 With deepest sympathy, Anthony DiTommaso, Jr., Russell Warren, Jr.
Ivy Realty Services, LLC purchased flowers for the family of Helen Snyder. John Sidorakis purchased the Sweet Tranquility Basket for the family of Helen Snyder.